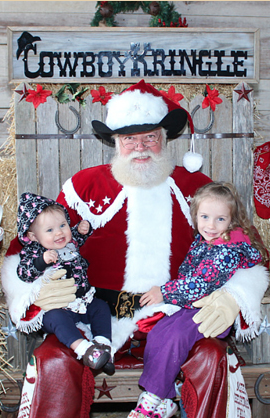 Create a Christmas memory with photos with Cowboy Kringle, Gruene’s own brand of Santa! Pictures will be taken in the breezeway between The Grapevine and Gruene General Store. Packages are available, along with Christmas cards and other special order items. A portion of the profits from photos taken on November 18 & 19 will benefit Communities In Schools.For more info, including future dates and hours, click here.